People are spending their money, staying in hotels and buying things such as cars and houses in Bryan-College Station — all indicators that point toward a healthy local economy. Karr Ingham, an Amarillo-based economist who spoke to attendees at the Bryan/College Station Chamber of Commerce’s economic outlook briefing Wednesday, said the area has experienced an “extraordinary” economic expansion since 2011. General spending, home sales activity, employment and other indicators Ingham uses to prepare the local economic index sponsored by Commerce National Bank are currently at or near record levels, he said, and growth will likely continue moving into 2019. A boom in certain industries means that some parts of the country are seeing remarkable job growth. Attention job-seekers: Midland, Texas, is hiring. The Western Texas city, which is home to 136,000 people, has experienced the largest percentage growth in jobs over the past year of any metropolitan area in the country, according to May data released last week by the Bureau of Labor Statistics. The number of people employed in Midland has jumped by more than 11% over the past year, well above the job growth rate nationwide (http://www.marketwatch.com/story/us-adds-healthy-213000-jobs-in-june-but-unemployment-rate-backs-up-to-4-2018-07-06). The U.S. added 213,000 jobs in June, but the unemployment rate rose to 4% last month nationwide after dropping to an 18-year low of 3.8% in May, the Labor Department said Friday. Nearby Odessa, Texas, wasn’t too far behind — the number of jobs there has risen 4.4% since May 2017. Both cities have a single industry to thank for their employment growth: Oil. The Midland-Odessa region is the heart of Texas’ petroleum industry, and the rising price of crude oil has certainly benefitted these cities though recent price declines could spell trouble. College towns are also job magnets. Lafayette-West Lafayette, Ind., home of Purdue University, and College Station, Texas, home of Texas A&M University, ranked among the top cities nationwide for job growth over the past year. Such a trend isn’t unique to the oil industry or West Texas though. Domestic travel has increased in recent years — and the expanded tourism revenue has translated into impressive job growth for many cities across the country. In Indiana’s Elkhart-Goshen metropolitan area, the number of jobs has increased 5.9% over the past year. The city is host to the country’s two largest manufacturers of recreational vehicles — Thor Industries (THO) and Forest River (BRKA). The RV industry has seen shipments of new vehicles spike 12% over the past year, according to the RV Industry Association. Tourism also enriched the fortunes for the job markets in other cities, including St. George, Utah, a suburb of Las Vegas, Ocean City, N.J., and Destin, Fla.
Small businesses thrive across America, but some towns are just perfect for a growing business. Topmanagementdegrees.com looked at all the cities in America with between 100,000 and 250,000 residents and ranked them on just how small business friendly they can be. College Station checked in at No. 15 on this list. Why doesn’t College Station have a Waffle House? On Monday, I received an email asking a simple question: Why has the City of College Station not reached out to Waffle House or made plans to build one in our community? Since Waffle House is the mecca of waffle aficionados across much of America, the question is reasonable — and it’s one we hear a lot. So why don’t we have a Waffle House? Restaurants such as Waffle House are planned and built by private businesses. We proactively recruit many companies, including restaurants, and we’ve pursued Waffle House for several years. Unfortunately, its management has repeatedly said it has no plans to expand to College Station anytime soon. The role of the city’s Economic Development department is to identify commercially zoned property with good visibility and access that companies such as Waffle House would find attractive. We then help that business navigate our development and permitting processes. 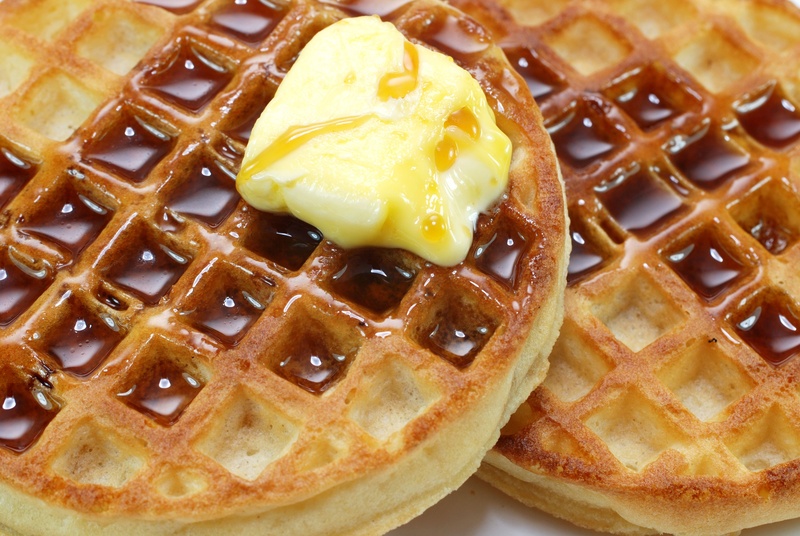 I’m a big fan of waffles and would love to see a Waffle House in College Station. If you have an influential contact who could change the company’s decision and bring a location here, you’d be a local hero. http://grow.cstx.gov/wp-content/uploads/2015/07/Logo-Grow-sm.jpg 0 0 Colin Killian http://grow.cstx.gov/wp-content/uploads/2015/07/Logo-Grow-sm.jpg Colin Killian2018-05-02 16:55:512018-05-02 17:03:08Why doesn’t College Station have a Waffle House?